When the iPad was released, Steve Jobs called it "magical." And in many ways, he was right. The iPad is a great device capable of such varied tasks as streaming movies, entertaining you with great games, becoming your digital library, or simply letting you browse the web on your couch. The iPad comes in three different sizes: the 7.9-inch iPad Mini, the 9.7-inch iPad and the gigantic 12.9-inch iPad Pro. You can also buy an older refurbished iPad from Apple if you want to save a little money. You'll also need to decide on how much storage you'll need and if you need a 4G LTE connection. The iPad Mini model is usually the cheapest iPad. It's also best for those who want to use the iPad while moving because it can easily be held in one hand and manipulated using the other. The iPad Air model is the next step up. It is slightly more powerful than the Mini and has a 9.7-inch screen instead of a 7.9-inch screen. Other than the size and a slight boost in performance, the latest Air and the latest Mini are about the same. 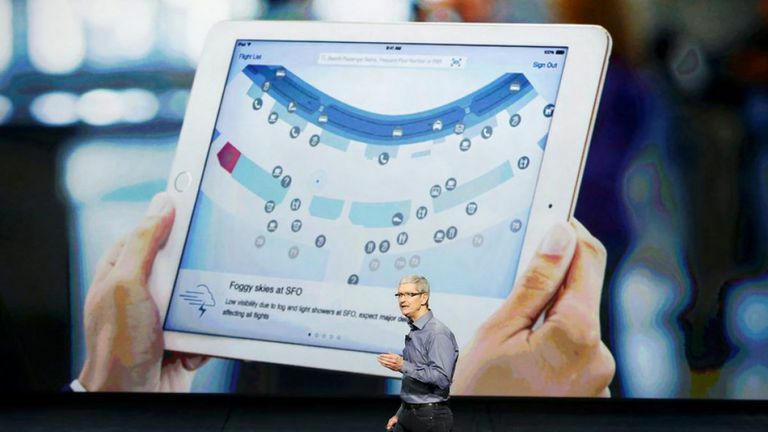 The iPad Pro comes in two sizes: 9.7-inch like the iPad Air and a 12.9-inch model. These models feature laptop-like performance and are great if you want to focus on productivity with your iPad. But don't be fooled: they can be great home iPads too. In fact, the 12.9-inch iPad may be the ultimate family iPad. Buy a device with at least 32 GB of storage. The iPad Pro models start out with 32 GB, which is perfect for most people. The iPad Air and Mini models start with 16 GB and jump to 64 GB for the next highest model. 4G LTE or Wi-FI Only? Most people will be surprised at how little they use 4G LTE on the iPad. With the ability to tether the iPad to the iPhone and use its data connection combined with so many Wi-Fi hotspots and coffee shops and hotels, it's easy to live without 4G. If you are using the iPad for work and know that you will be traveling a lot with it, the 4G connection may be worth it, but otherwise, skip it. You've bought your iPad. Now what? Basic navigation is actually simple on the iPad. Swipe the screen from left to right or right to left to move between pages. The Home button works as a "go back" button. So if you've launched an app by tapping it, you can get back out of the app by clicking the Home button. If you are in an app like the Safari web browser, scroll up and down by swiping up or swiping down. Swipe your finger in the opposite direction you want to move. For example, swipe up to scroll down. You can also get to the top of a web page or email message or Facebook newsfeed by tapping the clock at the very top of the screen. Search your iPad by swiping down in the middle of the screen when you are on the Home Screen. This gesture activates Spotlight Search, which can search for anything on your iPad and even checks the App Store, within apps, and the web. Now that you are working the iOS interface like a pro, it's time to find out how to squeeze the most out of the iPad. Several great features aren't readily apparent, such as being able to connect the iPad to your television set or how to multitask. Perhaps the most important power feature of the iPad is Siri. Apple's personal assistant often goes ignored, but she can do things like reminding you about tasks or helping you to find the best pizza place near you. The iPad can be both a great entertainment tool for little ones and a great learning tool for kids of all ages. Secure your iPad so your child won't run up high iTunes bills or modify or view sensitive information on the device. Google Maps: The Maps app that comes with the iPad is good, but Google's Maps are even better. Crackle: It is amazing how many people haven't heard about Crackle. It's like a mini version of Netflix without the subscription fees. Pandora: Want to create your own custom radio station? Pandora can do it. Yelp: Another great useful app, Yelp provides a search for nearby restaurants and shops and gives you user reviews so you can find the very best of them. Browse for additional free apps if these whet your appetite for more.